Visit this page for the Academic and Semester Calendars, Final Exam Schedule, and other important dates. 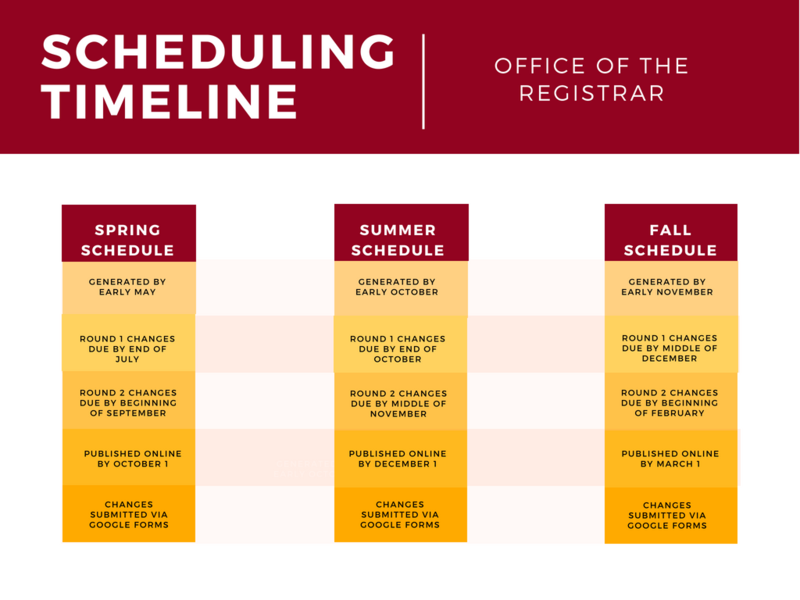 Each term's schedule is initially created by copying the schedule from the same term in the prior year. For instance, SP18 is copied to SP19, FS18 is copied to FS19, etc. 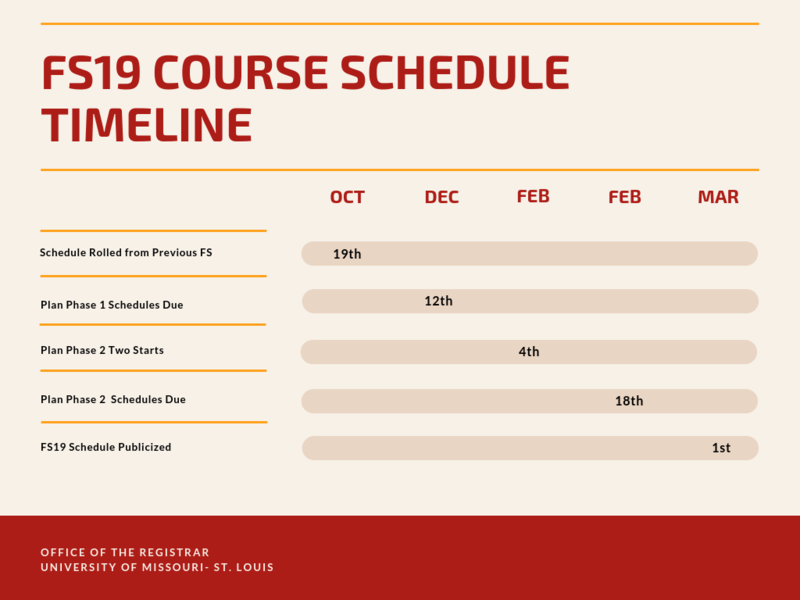 Faculty Load Data for SP19 is due to the Office of the Registrar on February 8th, 2019. More information on the Faculty Load Data Process can be found on the Scheduling Resources homepage (coming soon!). SP19 Census is on February 18th, 2019.